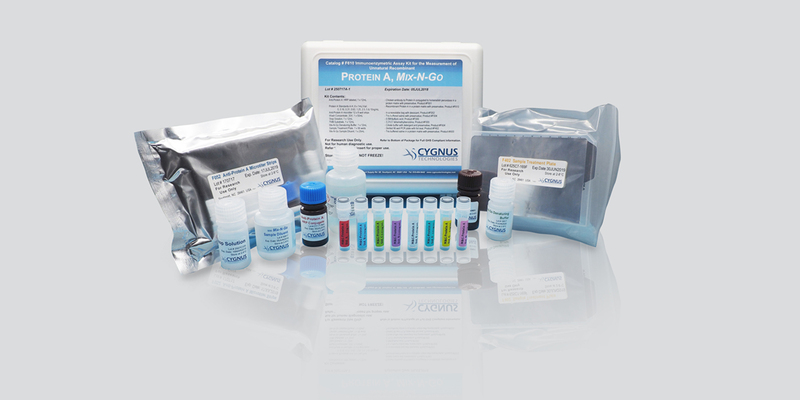 Use our original kits (F050 and F050H) to detect both natural and structurally conserved recombinant Protein A. Use kits F400 and F400Z to detect unnatural recombinant constructs of Protein A, such as GE Healthcare’s MabSelect SuRe™ ligand. Use the Mix-N-Go™ kits (F600 and F610) to eliminate heating and centrifugation steps and detect natural and conserved Protein A or unnatural constructs such as MabSelect SuReTM, respectively.